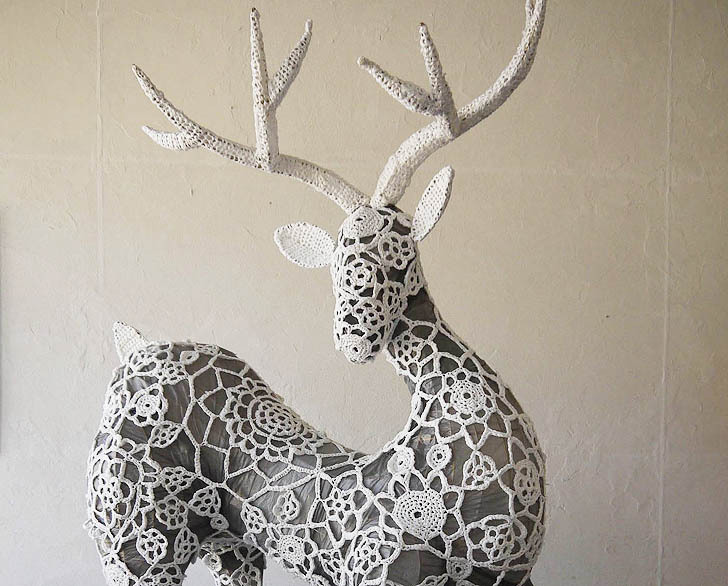 Australian designer Angela van Boxtel is celebrating the holidays with a festive reindeer made from 2,000 plastic bags! Set in the Australian sun, the recycled Blitzen was carefully crocheted from disused plastic bags to show shoppers a greener side of the holidays. Van Boxtel’s creation is made from fused plastic shopping bags, and it lights up at night with colorful LEDs. As the Christmas season approaches, countless shoppers stock up on gifts for their friends and family, and they tote them away in single-use plastic bags. 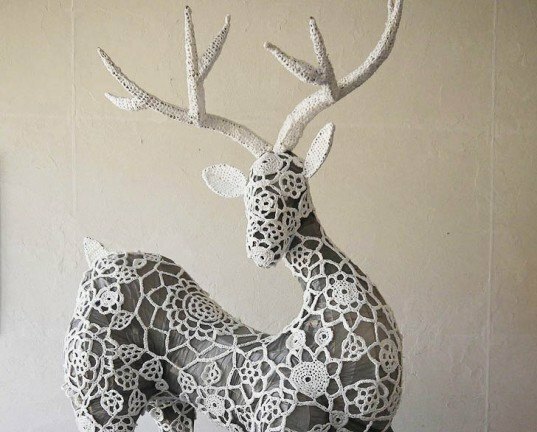 In an effort to promote a more eco-friendly Christmas, Van Boxtel hatched the idea of creating the adorably crocheted reindeer to symbolize reuse and recycling. With a Christmas wish for no more plastic bags, Blitzen the recycled reindeer was born. Blitzen now stands are the shopping area of Lane Cove, urging passersby to bring their own reusable bags when buying Christmas goodies. Van Boxtel hopes that Blitzen will help her realize her Christmas wish of shoppers just saying no to plastic bags.